Take a look at the two concept drawings of two bus interchanges designed to handle metro buses in Manukau and Christchurch. Metro buses are your ordinary run of the mill bus you catch to go from point A to B within your city where as an Inter City bus is just that – an Inter City bus. For Inter-City not Metro Buses: Both Manukau and Christchurch Interchanges are saw tooth designs that are designed for Inter City buses that would park up for a length of time to unload and load their passengers before heading off. Saw-tooth designs are not designed for metro buses that would be coming in and out of the bus station at very frequent intervals. Even metro buses terminating at the station and not required for a new run still need to reverse back out before heading off to either the depot or a separately provided lay over spot. 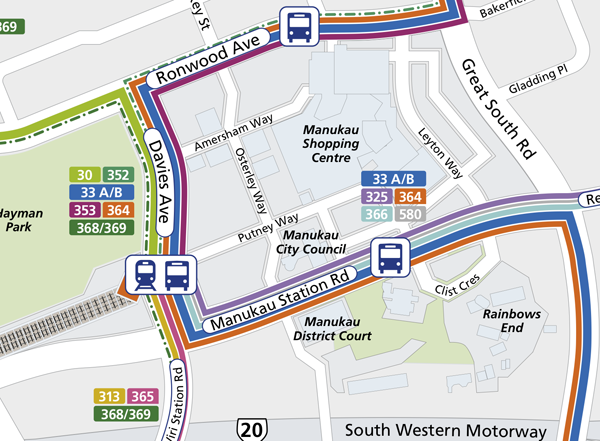 You then have your through buses (like the 33 Great South Road Service from Papakura to Otahuhu via the Manukau Interchange) that need to pull in, exchange passengers, then proceed on their way to their final destination. There’s a pedestrian crossing to the island (not sure what’s on it) but it’s squeezed between the sawtooth platforms – which will probably be busy with passengers. Even worse is it will require buses to reverse over the crossing. Let’s just say that’s far from ideal and quite a safety hazard. On the South-western side it will mean reversing buses will block the entrance to the interchange, again another potential safety hazard. Very High Safety Hazards: Furthermore buses backing up have extremely large blind spots behind them and the risk of colliding with something (whether a person (as there is commercial development on the Manukau Station Road side – thus pedestrians have to cross the access-way any how – so that excuse from this morning does not particularly wash) or bus) is greatly increased. Again a linear design that allows straight in-out of two-way interchange (seehttp://www.scribd.com/doc/186133948/21st-Century-Auckland-Booklet-PDF-Mode ) mitigates against those risks the saw-tooth design has. Again especially as 5,000 people can be passing through the area at any given time. 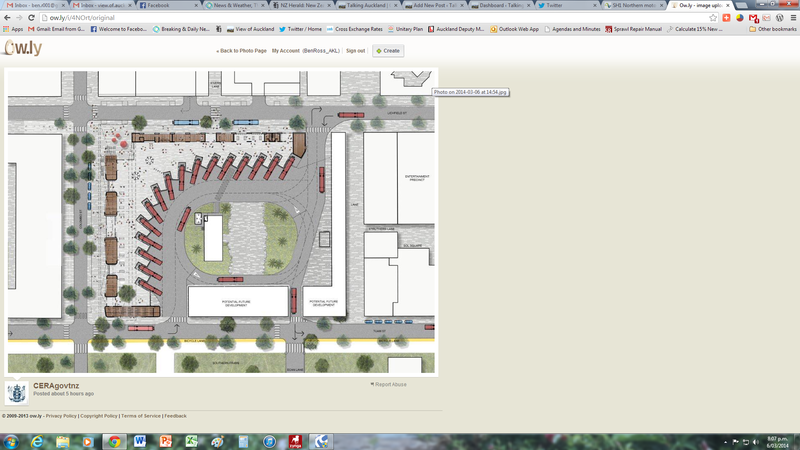 Transport Blog in their “The new Christchurch bus interchange” delivered some sharp critiques on the Christchurch Interchange. 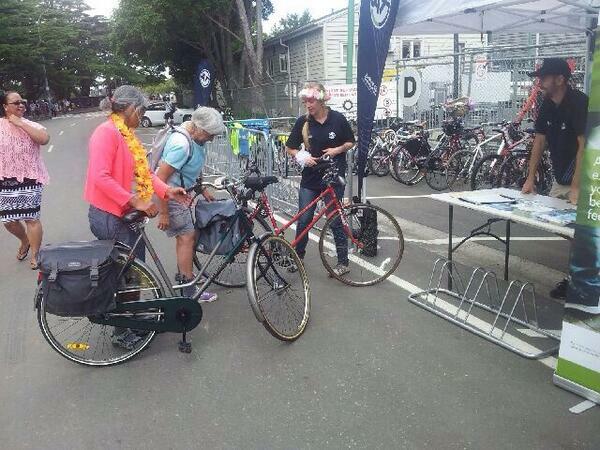 The critiques are similar to the ones I have posted against Auckland Transport with Manukau. In saying that I noted the frosty answer I got from Auckland Transport when I questioned them on Manukau. Thus I have no qualms in bringing concerns back up with the main Council again either in the Auckland Development Committee or (most likely) Infrastructure Committee to find compromise or resolutions seeking a change. As advocates (and I am sure TB would agree) you could say it is our job through our blogs (and other means) to run both praise and critiques on things that affect a City greatly. The saying goes credit and praise is due where it is due – and the South Auckland Bus Network is a classic example of praise and credit. But heck it does not mean one is a yes man either. If something is not liked such as the Manukau Interchange why should one be silent about it especially to a public sector organisation that consumes half of my rates dollars. We are not yes men and we want what is the best for the City. 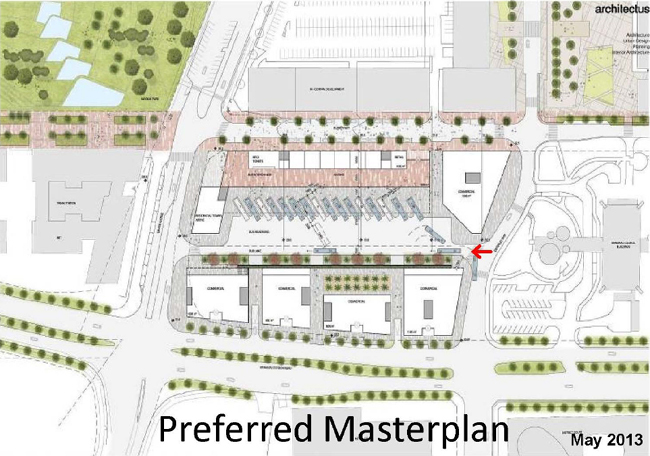 And a saw-tooth design for a to be heavily used metro bus station is not the best for Manukau nor South Auckland! There is also further praise for Auckland Transport and their South Auckland Bus Network which was received very favourably by the South. And in my books praise and credit are always due where it due and those two examples I mentioned is where credit and praise are due. But that does not mean you will not be subject to critiques if something warrants it as it has with the interchanges. It goes both ways. So the question is where next. Can’t do much about Christchurch sadly but with Manukau I will say I am considering options to get that interchange moved to a linear design. Might need to some help on this one though.